Ukrainian journalist Roman Sushchenko, who is illegally detained in Russia, received the right to a meeting with his spouse and daughter on November 20, his lawyer Mark Feigin informed on Twitter. "On November 20, Ukrainian journalist Roman Sushchenko is allowed another meeting with his wife and daughter in Lefortovo prison. Perhaps the last one before the trial on the merits," he wrote. 20 ноября украинскому журналисту Роману Сущенко разрешено очередное свидание с женой и дочерью в тюрьме Лефортово. Возможно последнее до начала суда по существу. — Mark Feygin (@FeyginMark) 13 ноября 2017 г. Reference: On September 30 last year, the Federal Security Service of Russia in Moscow detained a correspondent of the Ukrainian agency Ukrinform in France Roman Sushchenko. He came to Russia on private business. Sushchenko was charged with "cooperation with Ukrainian intelligence", "purposeful collection of information on the activities of the Armed Forces and the troops of the Russian Federation's national guard." This, in the opinion of the investigation, is a threat to the security of the Russian Federation. October 7, 2016 Russian investigators opened a criminal case under the article "espionage." 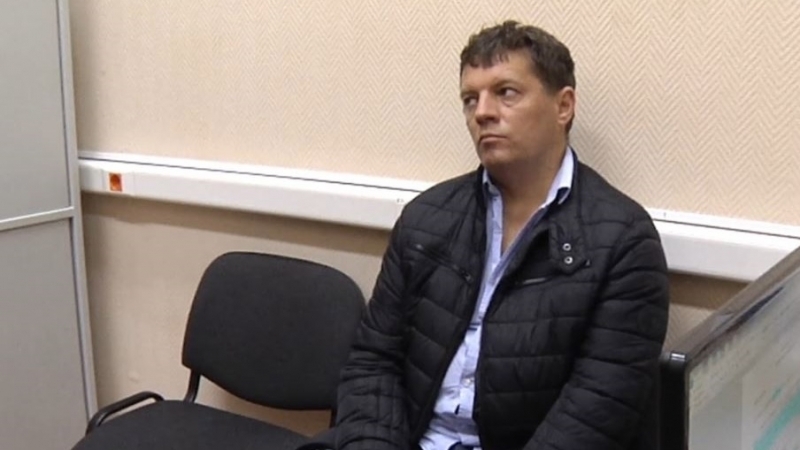 Sushchenko denies all charges. The Ukrainian side calls charges against the journalist groundless and demands his immediate release.